Two people perhaps Thrift store employees adjust a sign advertising the store. Sunday the year in review and the week in review….Wearing carpet to work or Your not all that. Christmas in the City of Sin is like the United Nations. Diverse, loud and often drunk. Everyone doesn’t celebrate Christmas and everyone who doesn’t celebrate it flocks to Sin City this time of year shouting things at people in languages they don’t understand. They also don’t understand a lot of things about Vegas like the fact that six-year-olds are not allowed to sit in their laps and shovel quarters into a slot machine or slam shots of Jim Beam while their parents reach for the rear ends of cocktail waitresses and shout how much at the women who are going to steal your wallet in ten minutes. It’s against the law here. 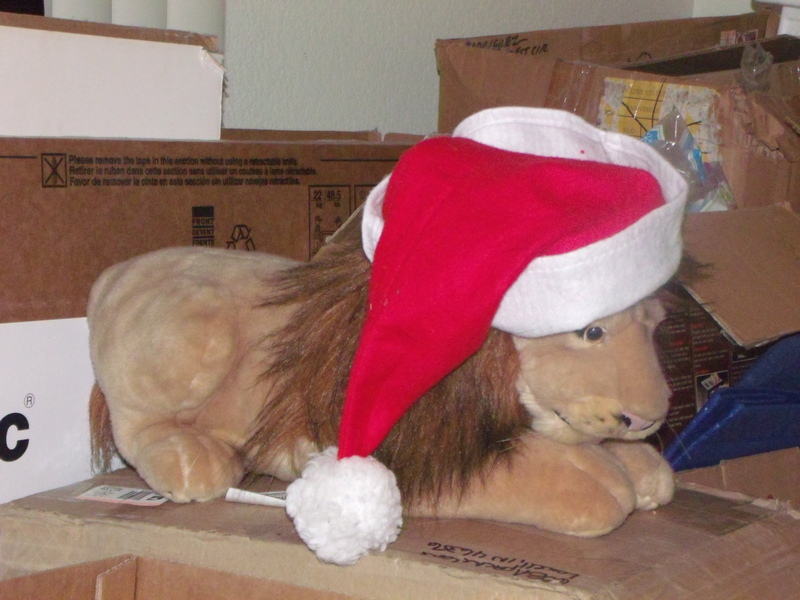 These world visitors tend to drink a lot and take many, many controlled substances that simply don’t seem to be in keeping with the Christmas spirit. One lady from the far away land of Korea was spotted laying on the carpet in a popular Vegas casino dressed in a bright red evening dress her black satin underclothing visible to anyone who dared to look and lots of people did. She said she was waiting for a bus but eventually gave up and wet to lay down in the hallway in front of a room not registered to her, only to discover her tour group was waiting for her near the spot she had been laying on the floor and hour before. On the other hand many locals in the City of Sin greater Metropolitan area spent the week deep in preparation for the holiday season. 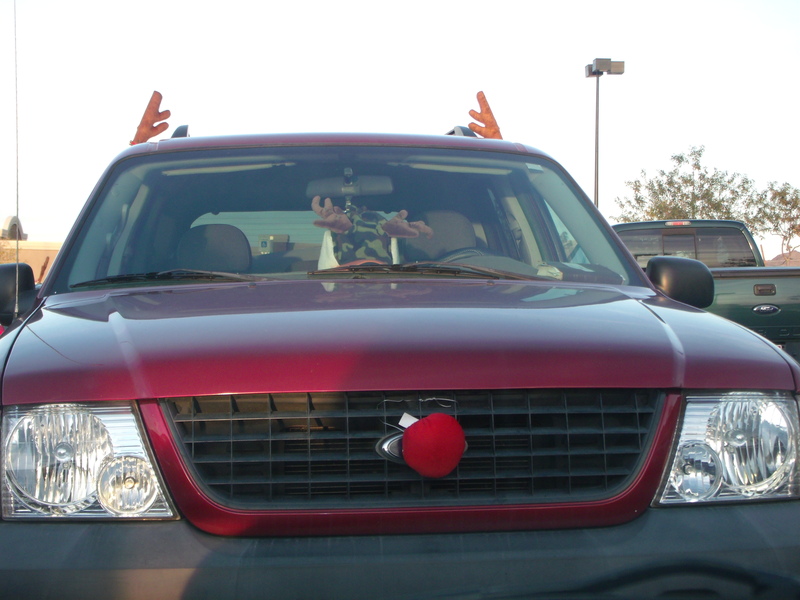 I mean what says Christmas more than putting a red nose and a phony pair of reindeer antlers on your pick up truck as you are on your way to the two for one Budweiser beer special at Wal-Mart. 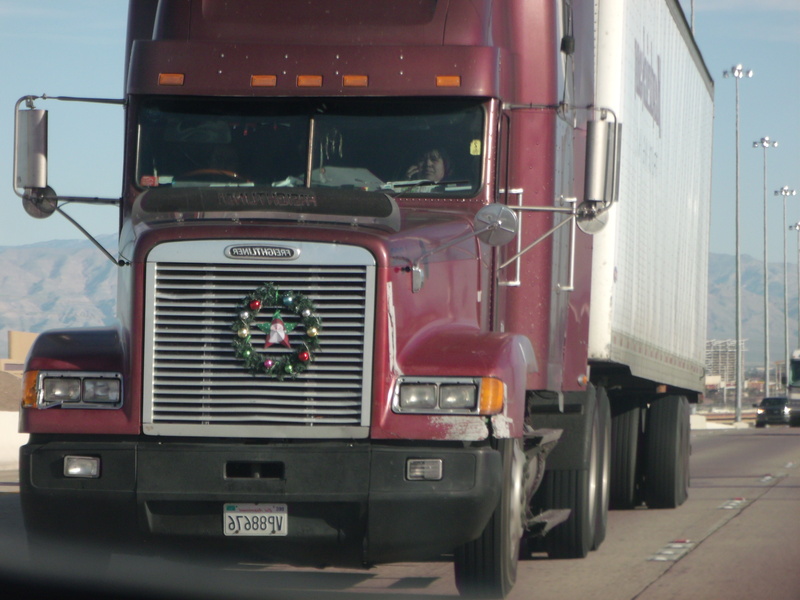 Except maybe putting a wreath on the front of your 18-wheeler as you are guzzling 5-hour energy drinks and hurtling down the Interstate past frightened car loads of afternoon commuters. …and _ who knew Santa was a salesman. Rumors has it that the red suited Christmas Claus was sighted near a half off sale on Flamingo Road Christmas Eve waving at passersby. A young woman spotted walking down a Sin City street was definitely a Christmas fan if he red hair, red clothes, bright red lipstick. One City of Sin casino denizen looked a little bit like Santa Claus. If Santa Claus had started drinking years ago and was skinny with a thousand yard stare that would scare the heck out of Jack Frost or the average Christmas Eve reveler as the tugged their matching Santa hats over their faces in an effort to avoid his wide eyed stare. 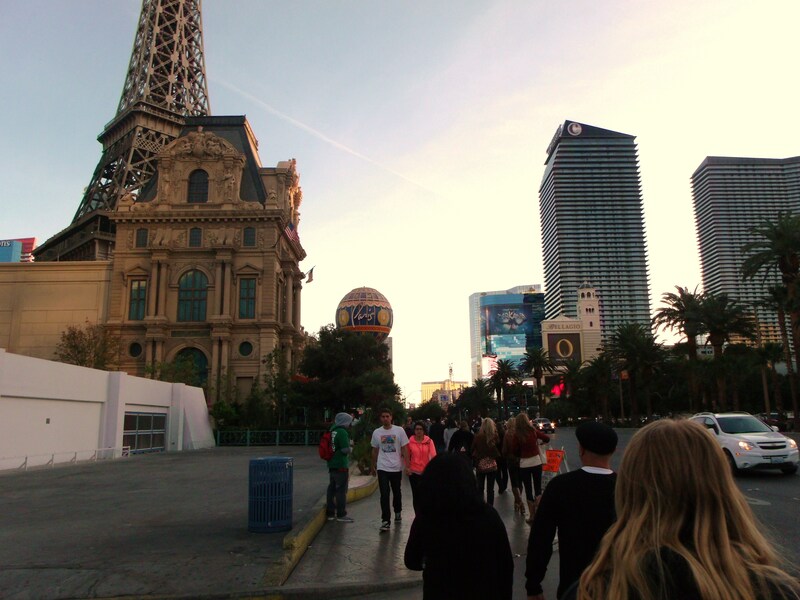 Still there were bright spots in the holiday Sin City Scene. 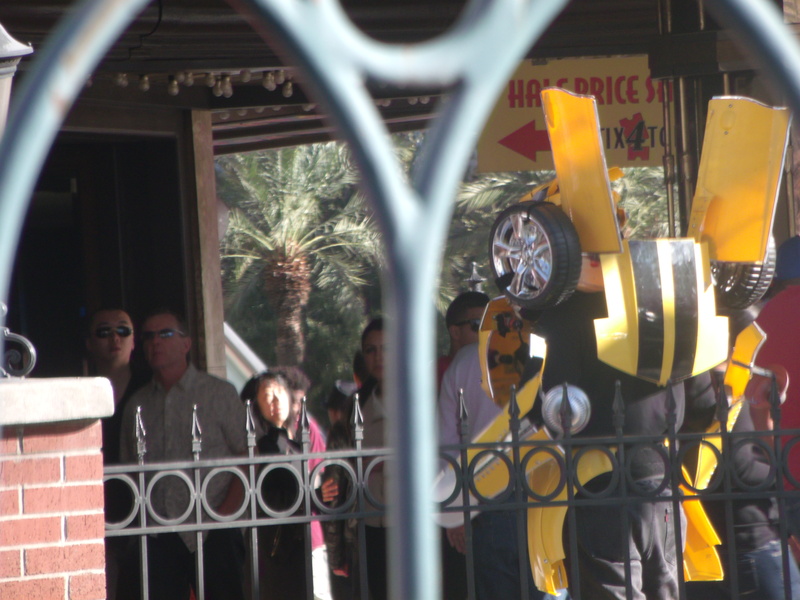 Homer Simpson and Bumblebee the Transformer were spotted hanging out at a local casino posing for holiday pics. MC Hammer and Tone Loc are preparing to bring back that 80s rap to the Holiday season and a sea of Santa Hat wearing tourists floated down Las Vegas Boulevard past collectors for local charities who were having a banner year from all accounts. The world did not end. It went on tears triumph, tragedy silliness and all. The tears of innocents is nothing new to the City of Sin and it barely missed a beat this week. My life was uninterrupted in the midst of Sin City Christmas shopping madness except for the horror of last minute stocking stuffer shopping madness I was recruited into by my 17-year-old daughter. The men and non shopping women in the store looked on with sympathy as she dragged me down the store’s aisles with an enthusiasm only teenaged girls can muster. As recent events in the country and the totally of Sin City experience have revealed in their natural state Human beings are very angry even when they are happy. Like when they pass out in a restroom of a Sin City hotel with a smile on their face and are so tightly wedged into the bathroom stall and so unconscious paramedics have to be called they are pissed of at the world. The lady I am talking about cursed like a ..well a drunken sailor..when paramedics came to take her to the hospital. 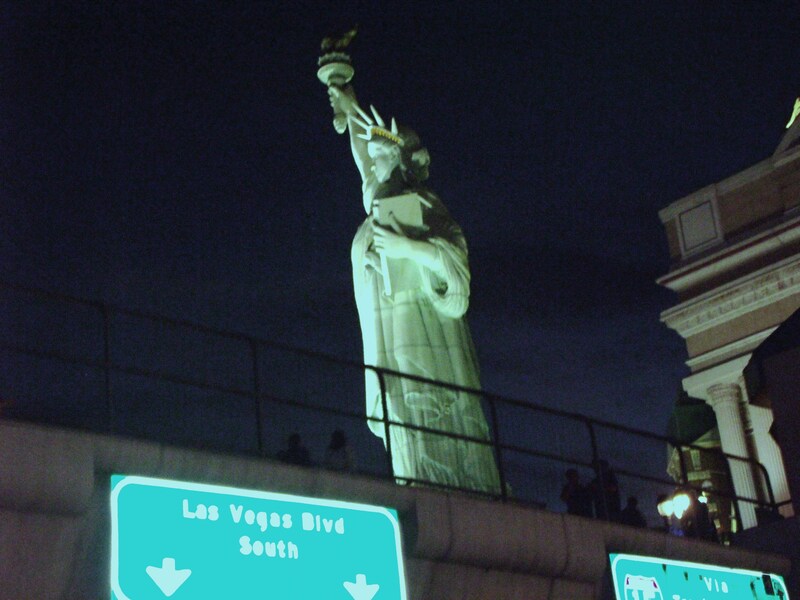 Her fingers were locked in the middle finger salute as they wheeled her out of the door of the strip hotel whose bathroom she had passed out in. Then she passed out and started snoring. I’m not quite sure if she even knew who she was angry at but she had a smile on her face as her hand flipped the bird to whatever Pink elephants her fevered mind was conjuring up. This week what passes for winter hit the City of Sin we brushed the dust off of our winter clothes and bundled up against temperatures and winds that would New Yorkers giggle adjust their sun glasses and sip on their iced tea. Las Vegans took a hiatus from debauchery crowding into malls and shopping centers for last minute Christmas gift acquisition. One lady dressed head to toe in red drew particularly intense attention especially from a few inebriated locals who seemed sure Ms Santa Claus had made a side trip into the City of Sin and seemed determined to pester Ms. Claus for extra gifts. There were rodeos ( all you goat ropers out there will know what the National Finals Rodeo is) and cowboy concerts and the City of Sin was full of men and women with big hats, button up shirts and a healthy fearlessness of angry livestock. One local casino fixed up one of its old lounges like a Honkie Tonk bar complete with a mechanical bull and one Levi clad cowboy was sighted having a meaningful conversation with the mechanical bull who we shall call Mechanical Bull and later with the giant blow up whiskey bottle located near the front of the goat roping room. ( Goat ropers means cowboys and Country and Western fans in the cool breeze jargon of 1970s Texas.) One enterprising Goat Roper walked up the security booth at one local casino and asked if he could have a beer and another asked if anyone remembered where he had parked his car. I remember one occasion years ago where an obviously wealthy casino patron was angry about the people gathered around them to watch as they shoveled hundreds of dollars worth of tokens into a slot machine like it was a handful of dimes. This patron was playing a slot machine that took $500 token and insisted on having security guards stand around them to protect them from “the peasants” gathering around them to gawk. All the while this wealthy slot patron was constantly looking over their shoulder and basking in the awe of the mostly middle class patrons as he shoveled tokens into a machine spending more in one pull of the one armed bandits handle than most of the people looking on made in a week. 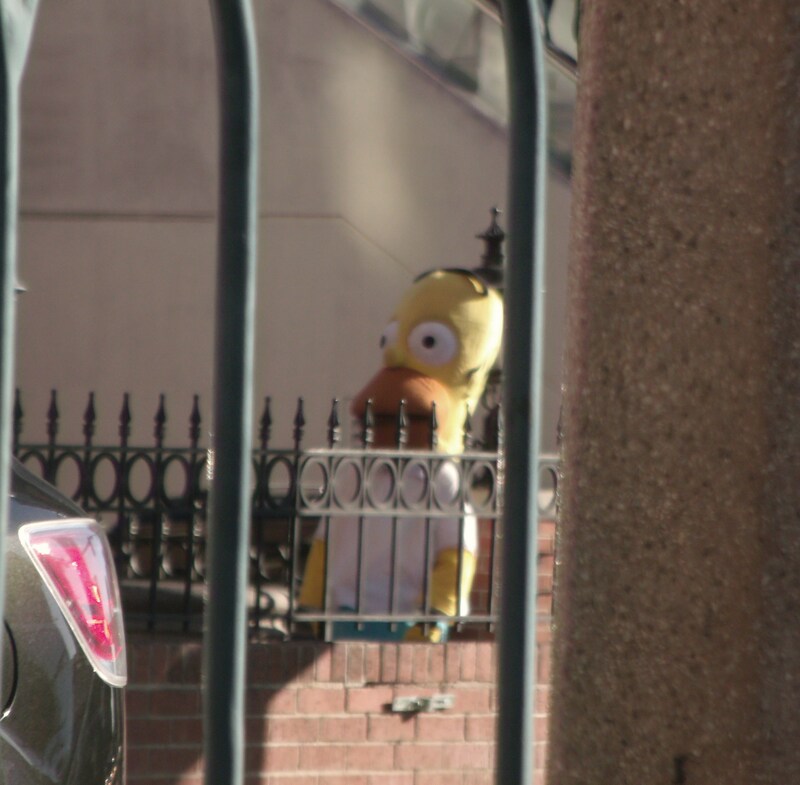 He was angry when people were watching him and angry when they were not. This city is a place filled with dangerous folks from time to time but this week people in the City of Sin went shopping, put reindeers noses and antlers on their trucks, bundled dressed like Santa and rode mechanical bulls named Arthur or was it Fred. Jogger report: In spite of the cold people still jogged they just didn’t stop until they were back inside where it was warm. One man apparently decided to was just to cold and started to run down the street in his street clothes. He wasn’t getting in shape he was cold and wanted to get inside.